Nakuru, a fast growing County in Kenya that for many years has been the startup region for many big and successful companies in Kenya. Narcet Hub an upcoming Company (www.narcet.com) founded 2 years ago is one of those companies scaling the heights in business and majorly technology incubation, agribusiness and offering co-working and private spaces in Nakuru County. Now lets know more about Narcet Hub and how you can join or be a member. NARCET which stands for News, Agriculture, Research, Civic Education, Environment and Technology, is providing a place where the public can find the ideal environment to grow their projects with ease. Narcet Hub started by a group of youth in and from Nakuru, founded by Mr. Julius Kipkoech an I.T guru by profession, Tech blogger (@JTechpreneur), Entrepreneur and an upcoming farmer and co-founded by Mr. Joseph Ngugi a great content creator, Tech and Entertainment blogger (@Sophlix) and a farmer. Other officials are Miss. Jacinta Nyaruai the Communication Manager who is a Project Management student, great writer, content creator and an awesome farmer and does agribusiness and Mr. Alex Mose who is the Secretary General, he is a radio presenter (Hero Radio, Nakuru), vlogger (MoseaxVlogs), online influencer (Baseline Marketing) and a content creator. . They are all in the company's Board of Directors, I call them the brilliant minds behind Narcet Hub. News - blogging, vlogging, content creation, content writing, online content marketing, you name them, Narcet Hub is there for you. They organize at least 1 workshop and training classes monthly. In the training Narcet Hub officials get to talk and teach about blogging and other related fields then one or two guest speakers will be invited to wrap up the training/workshop. If you have ever attended any, post your comments about it below this article. Agriculture that is new ways of farming and growing your agribusiness by use of technology, Narcet hub also has you covered. Agriculture and agribusiness training and workshops are mostly held locally/mashinani. 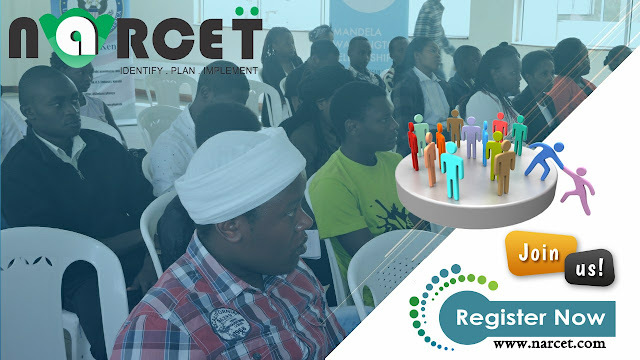 Narcet identifies different places in Nakuru and organizes forums with the farmers and connects them to major companies and specialists in the industry plus they officially get to teach farmers on how to scale up their agribusiness by use of technology. Jacinta Nyaruai, Narcet Hub's Communication Manager is a great farmer and encourages youth to pick up on farming as its the best side job and earns well. She says that she is motivated by the passion she has in farming. She was the panelist on #YouthAgribusiness4Growth 2018. Research work is becoming easier daily with the presence of the internet. Narcet Hub offers that ideal space for doing research work and the place to interact with people in same field. Civic education, Narcet hub uses technology and workshops to teach citizens about the County and National Governments roles, their roles and rights as citizens. Environment, Narcet Hub supports the well being of the environment through campaigns like #ISupportBanPlasticsKe which all the officials did support that campaign and also planting of trees among others. Lastly, Technology Narcet Hub's roots are rooted in ICT and technology as the main tool in growing businesses. As much as I know in this day and age "if your business is not online, go home." Is that true? Yes it is, if you want to grow nowadays, get your business on people's fingertips and that's through their mobile devices and gadgets that support internet connectivity. Narcet Hub supports new and upcoming tech innovations. The field is wide, Web designing, app development, softwares, hacking, programming and coding, graphic design, networking... you are sorted at the hub. Meet new tech gurus and learners, team up or help each other for sustainable growth. There is so much you can gain from Narcet Hub, they have an annual tech bootcamp known as #TechInTheWild Bootcamp where they hold tech and business master classes/sessions and also have fun in the wild hiking, team building activities, treasure hunts, movie nights and camping in tents. Certificates are issued to those who attend. #TembeaNakuru hikes are also organized for members and non members to interact, build teamwork, exercise, explore the beauty of Nakuru and more so to have fun. This hikes are twice a year. This month Narcet Hub has organized the 2nd Tembea Nakuru hike to be on 24th March, don't dare miss out. Check their Facebook Page for more details. You should not miss any of their events as you can gain a looot. Much is still coming from this guys so watch out. Register in as an interested member today via their website or Click Register now in the figure below. Comment below if you have any questions about Narcet Hub, if you like it, join them by registering with them. Like and share this article too.